Back in 2012, Tilen Simon started Veldes, not knowing what sort of impact he was going to have on people with the music he will create. After a year of writing and recording, their first full length album entitled To Drown In Bleeding Hope was released (which my review of will be up in a bit.) This sparked peoples interest and grew the band's fan base quickly. Now, after riding out the successful release of their debut full length for a year, Veldes is back with more! Skyward was released in 2014 and features a little over 26 minutes of absolutely beautiful melodies and astounding soundscapes. Consisting of only 4 songs, two being instrumental only, Skyward is a majestic piece of art that incorporates joy, sorrow, hate, and love all into one and portrays those emotions extremely well through the music. While listening to this release, I noticed myself almost in a trance while listening. 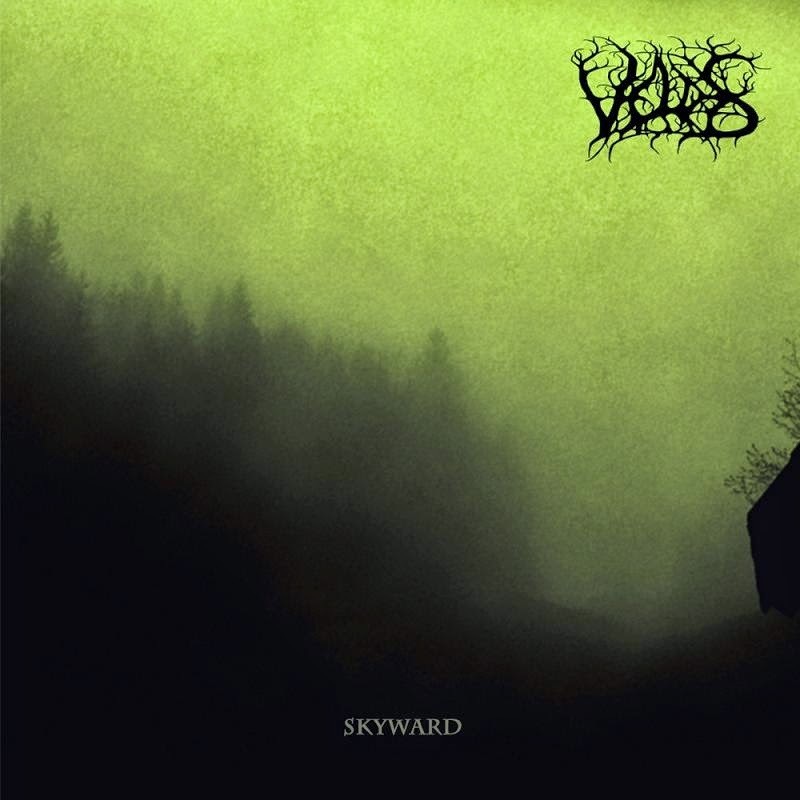 It is extremely calming and meditative music while at the same time remaining rooted within the black metal veins. I have found that while working on something frustrating or after a long day at work, Skyward is the best thing to have playing in the background because it keeps you cool and collective instead of getting your blood pumping. I attribute these feelings to the chord progressions used on almost all songs, especially the intro track. I have listened to thousands of albums and with that, thousands of intro's and this one is by far my favorite. It has a melancholic vibe with the downward chord structure and the way the piano melody intertwines with the guitar. It is a gorgeous representation of how well these types of intro's fit within metal music. When the black metal kicks in, it still keeps the piano at the forefront for most of the time and that adds so much to the music. The drums are there, but are not overpowering in any way. If anything, I would have liked to hear them a bit higher in the mix to hear everything a little bit better. The guitars, both electric and acoustic, are played with expertise and skill. The riffs were well thought out and well written. No detail was overlooked when it came to interweaving melodies with the guitars and piano because they sound perfect together. The vocals are not present too often compared to the instrumental sections. If any of you have read some of my other reviews, you know that I like when bands do that. While the vocals are important, music like this can really come forward and tell a story or paint a picture for the listener without using lyrics to do the talking. When the vocals are present, there is always something interesting going on with the band in the background, it is never dubbed down so the vocals can have the spotlight but is never too present to the point where the vocals don't matter, giving it a perfect balance. T.S. is an extremely talented guy and being able to put all of this together by himself is a feat on its own, but executing it as beautifully as he did is extraordinary. While not everyone will find this as entertaining of a release due to the slower tempos and emphasis on melody, this is exactly what I look for in music because of the emotions it arouses. Needless to say, this has to be one of my favorite albums I've ever reviewed!